← Time-Warp Tuesday: Top ten? U(K) are kidding me, right? This weekend there may only be one country choosing their entry for Baku, but that single selection is the spark for a very long string of finals that will take us through to March, when Sweden will try to be the last to pick, only to have their thunder stolen at the last minute by a country whose original final was a disaster (probably Ukraine) or who just claimed they would premiere their song on a particular date but lied (probably Azerbaijan). Take Our Hearts – Jesper is adorable, and if he wins could well be the Paradise Oskar of 2012 (not in a musical way, but in a heart-melting, vote-magnetising way). I didn’t rate this song on the first listen, but on the second something clicked (and it wasn’t my wrists clicking with RSI from too much computer use). Reach for the Sky – I’m reminded here of Switzerland’s entry in Moscow, The Highest Heights, however I think this song is a little less indie rock than that. It leans more towards mainstream dance, which could work in its favour. Overflow – It could be Swedish superstar Robyn at the vocal helm of this vessel, but no – it’s Ditte Marie, formerly of Le Freak. This is catchy electro-dance pop that opens up all sorts of possibilities for an exciting stage show (including a wind machine, of course). I’d be happy for it to win. Forever I B Young – Again, on the first listen, I didn’t get it. Danish dubstep on the precipice of Eurovision – who would’ve thought? But it’s fast becoming my favourite. It may be too complex and have too much attitude to win MGP or do well in Baku, but it’s something different. Universe – If Suriya isn’t my favourite, then Karen definitely is. Well, her song is; I might hate her if I met her in person. Anyway, Universe is a top-notch up-tempo ballad, in my humble opinion. I like me a good ballad. With only nine contenders, you’d think I’d be able to narrow down to one winner. You’d be wrong. Instead I’m narrowing it down to four, with Take Our Hearts, Best Thing I Got, Overflow or Universe my bets – although if I had to cut that down, I’d pick Take Our Hearts and Overflow. Personally, I’ll be waving flags – a.k.a. sleeping because I can’t be asked to stay up all night – for Ditte Marie, Suriya and Karen, any of whom I’d be super duper thrilled to see on stage in May. Go ladies! I get very excited about Scandinavian selections because I find them less likely to be hit-and-miss where the music’s concerned than others. So, despite not bothering to blog every five seconds about the heats and semis that have been happening practically since Düsseldorf, I thought I’d throw in something about Norway’s NF, the first semi of which is also on tomorrow. If the majority of the eight songs in this semi are anything to go by, Norway is going to put on a show and a half. Let’s hope that when it comes to the final on February 11th, the winner will have a good chance of qualifying in the even bigger show. I’m liking Elevator, High On Love, Little Bobbi and Somewhere Beautiful a lot. Elevator’s lyrics are shocking – it’s as if the writers have taken the crappiest, most clichéd lyrics from a bunch of other songs and made them into one big crappy, clichéd word-family. However, Elevator is also one of those contagious dance tracks that I listen to without caring a whole lot about the lyrics (something you’re probably surprised by given my abuse of the lyrics one sentence ago). High On Love isn’t the most original thing I’ve ever heard either, but it’s catchy and accessible. Little Bobbi is a very original song, so much so that I wouldn’t know quite how to label it. Is it R & B? Is it ethno-pop? Is it pointless me even trying? What I do know is that I’m a big fan. It’s one of those songs that you know is going somewhere, and you have to pay attention to figure out where that is. I’d like to say it’s going to the MGP final. Somewhere Beautiful reminds me of a musical, which in turn reminds me ofLithuania’s ESC entry last year, and that is not a good thing. But Nora’s (studio) voice is amazing and in the end this is a good, if derivative, ballad that begs for mist and chiffon and ponies and candy floss and…okay, maybe not the last few. As there’s no second chance round in Norway this year, the top three from each semi will get a ticket to the final. I’m going to harness my faulty incredible psychic powers now and predict that Så Vidunderlig, High On Love and Don’t Touch the Flame (which is my least favourite and so is bound to get through) will advance. HELLLOOOOOOOO to those of you still reading this rather long post. Don’t worry, I’m just about done. In fact, I’m completely done. Enjoy your weekend, and goooodbyyyyyye! 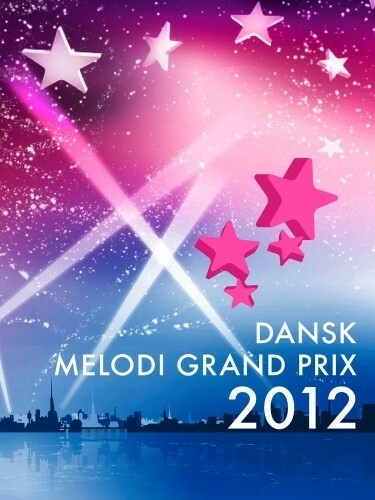 Posted on January 20, 2012, in Eurovision 2012 and tagged 2012, Baku, Denmark, Jesper, Karen Viuff, Melodi Grand Prix, MGP, national finals, Norway, predictions, reviews, Suriya. Bookmark the permalink. Leave a comment.